If you’re a regular Create & Cultivate reader (or maybe even a member! ), you need no introduction to our founder, Jaclyn Johnson. 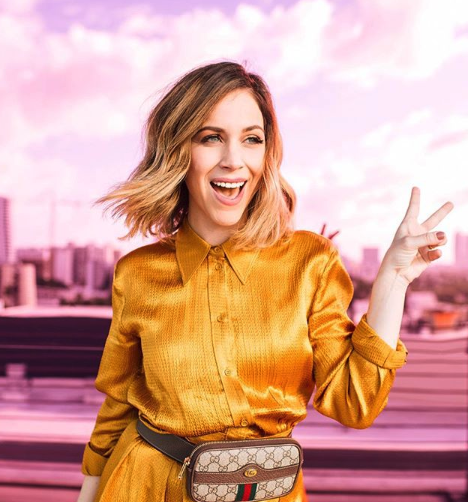 The Forbes 30 Under 30 honoree started her own company at 23, then sold it in 2016. Now, at the helm of C&C, she’s helping women around the world create and cultivate the career of their dreams. And that’s exactly why she’s a member of our new Mastercard Women’s Business Advisory Council. Throughout the year, members of the council will be popping up at events and online with advice on how to get your small business off the ground—stay tuned to learn more! 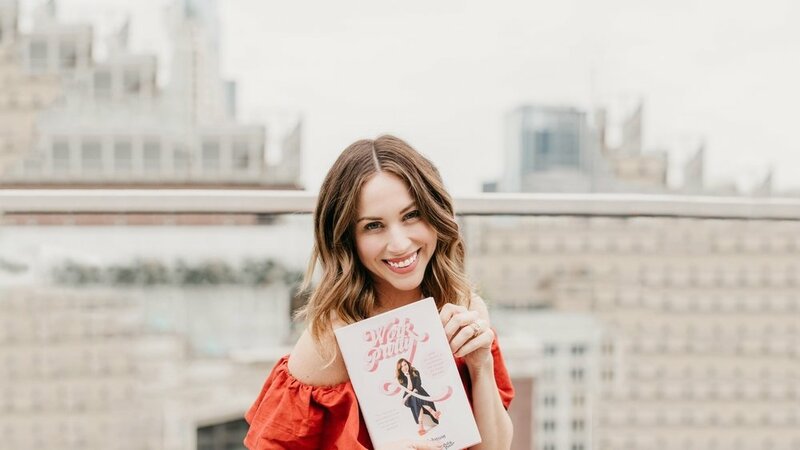 Jaclyn shared with Teen Vogue the story behind C&C, the challenges she’s faced, and the best way to get on your boss’ good side—read an excerpt of the interview below. TV: You started Create & Cultivate when you were still pretty young, and it became so successful in a relatively short amount of time. Some people might look at your journey and think you made it look easy. But in reality, what challenges did you face? JJ: Well, it wasn't a short amount of time. That's something that everyone always thinks. But the first [Create & Cultivate conference] was in 2011, so it's actually been going on for over seven years. In terms of the growth, it's obviously grown a lot. But there's so much hard work and intensity behind it. For a while, I was running both companies: I had my old company, [marketing agency, No Subject] and Create & Cultivate at the same time. I was working 150-hour weeks balancing both teams, running both financials — it was so much and so intense. I mean, it's great it looks easy, but it definitely hasn't been that way. TV: What about before Create & Cultivate — what were some of the biggest challenges you faced in the earlier years of your career? JJ: [With] my first company, there were so many different challenges. Number one is trying to be the boss when you yourself don't have that much work experience — trying to navigate those waters and learn. At the the beginning, I took a lot of things personally and really didn't manage myself well because I was so invested in everything [and] I was so young and not equipped to handle things. TV: How did you overcome those challenges? JJ: Experience. You get better over time; it gets easier over time. You'll be a better problem-solver. You just have to go for it, make mistakes, and learn along the way. TV: Did you ever have moments early in your career or when starting Create & Cultivate when people didn't take you seriously because you were young or because you’re a woman? JJ: Oh yeah, all the time. Even [with] the AV guy today: I [asked], "Can we lower the music?" He said, "Who's asking?" And I said, "The person paying you." It happens all the time. People think I'm really young. [...] At happened at the beginning of my career all the time. It's one of those things where you just have to have the confidence and the presence of mind to put people in their place, move on, and keep focusing on your own stuff. Head down, focus on the work, and then you no longer have to prove yourself because you know deep down that you deserve to be where you are. TV: It seems some people feel like when they’re in college, they already have to know their career path. What do you have to say to that? JJ: In college I had no idea how many jobs there were out there. I think it's like, a lot of people are like, "Oh, I can be a doctor, a lawyer." Like you can be all ... You can be marketing, you can be in whatever. Now, it's so different because you can be a content creator, you can have four gig jobs that add up to your full time payment. You can kind of create your own career, and it no longer has to be the fact that you're going to be in a company for 15 years. You can start a company, you can be an independent contractor, you can be an influencer. So I think that now, there's so many paths, so I think [college is] really just about now college giving you the tools that you need to go into the world and know what you want to do. TV: When someone is applying for their first job, what are some of the biggest dos and don'ts they should remember? JJ: I think the biggest thing is a lot of people, when they go in for interviews, are thinking that they're the only one being interviewed. But the reality is you should also be asking questions in the interview as well and seeing if it's a mutually good fit for you. A lot of people come in and they're just answering all my questions, [and when I ask], "Oh, do you have any questions?”, [they say], "No." But there should be so many questions [you ask, like], “What's the culture here? What are the hours here? Do I have to travel? What's your goal for me?” The best interviews I've had are [with] women who also ask questions, so I think that's something to take note of. TV: Can people negotiate in their first job out of college? JJ: Oh, yeah, definitely. I mean, I think you have to go into it knowing what you need to live and save. What is that final number? And then try to get to that number. And then if you don't [get that] immediately, ask for a reevaluation in three months. Always ask for reevaluation in three months, because if you're crushing it in three months and they don't want to lose you, they're going to bump you up to what you want to be at. TV: What are some of the biggest things you look for when you're hiring? JJ: Team players. People who come in and would never say, "That's not my job." We want someone who can wear all the hats, be all hands, jump in, do things that are outside of the box, think creatively, [and] come to the table with ideas. Anyone who doesn't want to just be like, "I'm marketing, so I do marketing." [I look for] anyone who's like, "Hey, I'm going to jump in and take out that trash because it's full at the event." Or, "I'm going to jump in and go to this meeting for you because I know you're busy." Anyone who's down to do that — especially in a small company, it's vital. TV: Aside from negotiation, once you're in your first job, what are the biggest dos and don'ts? JJ: Number one is learn your boss’s communication love language. Are they a list person? Are they an email person? Are they a pick up the phone person? How do they communicate, and what kind of style do they like? Learn that and do that, because you want to be making your boss happy. If you learn their love language, you'll be in a really good place. I think that's number one. Number two is working with your teammates to build rapport, because those are the people that are going to build you up and hold you accountable. Especially if you're going into a team that's been established for a while, what are the ins and outs of that team? What is everyone's function? How does everyone work together? [Learn] the rhythm of that group balance. TV: What advice do you have for people who want to start something or have an idea but think they’re too green or too young? JJ: No one's too green anymore. If you have an idea, if you're solving a problem, if you're excited about that, then go for it. [...] Big risk, big reward. But also, be strategic in the way you're approaching things. TV: If you could go back and tell your college self one thing, what would it be? JJ: I would say that you shouldn't be so hard on yourself. I think there's ebbs and flows. I went through so many crazy things in my twenties [that] I thought were the end of the world. And everything was fine. Everything happens for a reason, and enjoy the journey, enjoy the failures, enjoy the successes, enjoy the heartbreak, the enjoy the love that you get. Enjoy all those things. That's what makes you you.